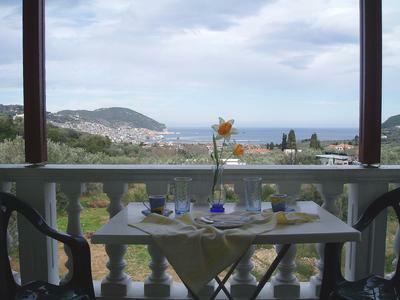 Are situated inside the town limits of Skopelos, on the central road leading to Stafylos. 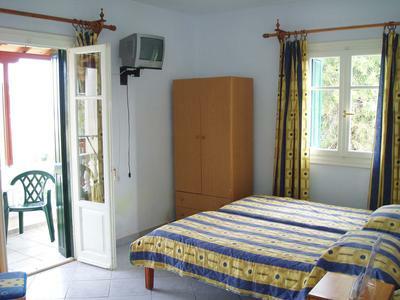 Set in 4.5 acres of grounds dotted with olive trees and 1km from the port and town centre. The visitor can enjoy a preferential location, with panoramic views to the harbour, town and the plain of Stafylos. Our children’s playground, manufactured this year according to child safety regulations, offers a small paradise for your kids. There is also barbeque. There are special protective tiles to cushion your child in the event of a fall. Our rooms provide comfort and calm, far from the noise of the city, yet is close enough to the amenities and entertainment that Skopelos offers. 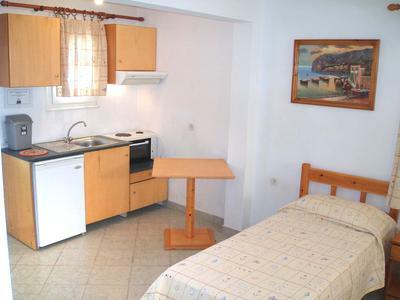 We offer twin rooms, studios for 3 people and apartments. All rooms are spacious, full of light and fresh-air. 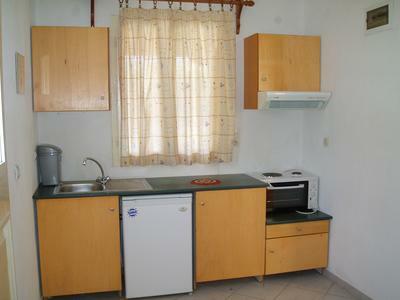 The rooms have private verandas with orientation to the sea, TV, air-conditioning, fridge, drying loft, cook stove and breakfast preparation utensils. A private bathroom and shower. FREE Wi-Fi.